The Emperor’s hair and beard are stark white but don’t let that fool you into thinking The Emperor is a frail old man. His red robe shows that he can still pack a wallop and the color white symbolizes pure spiritual power! The Emperor is a father figure, representing ambition, worldly power and strength, but also wisdom gained from experience and struggles overcome. On a spiritual level, this card bridges the gap between the solar consciousness and the divine mind. Because of these things, it makes complete sense that the Emperor’s scepter is an Ankh, the Egyptian symbol of eternal life. The Emperor has overcome all obstacles, the mountains and the river in the distance. Now that he has built his empire, he must govern it. The Emperor certainly cuts an imposing – even intimidating – figure. He sits on a granite throne, symbolizing his authority, carved with ram heads, his past accomplishments. The throne sets the Emperor apart from the world. Grey and cold in a landscape of brilliant reds and yellows, the Emperor tarot card clearly shows that it is his position and not his spirit that isolates him from the rest of the world. As any good father does The Emperor thinks of how he can best serve his “family” and this father is no different. He has kept the bigger picture, the greater good, and a higher purpose in mind. Call him “Sensei,” and you’ll do him no wrong – if you’ve earned that right. Flexibility is not the Emperor’s strong suit. He is a stern teacher, like Mr. Myagi from The Karate Kid. But in the end, those endless “wax-on, wax off” exercises lead up to some impressive martial arts skills. The Emperor’s laws and actions are based on sound reason and real-life lessons. 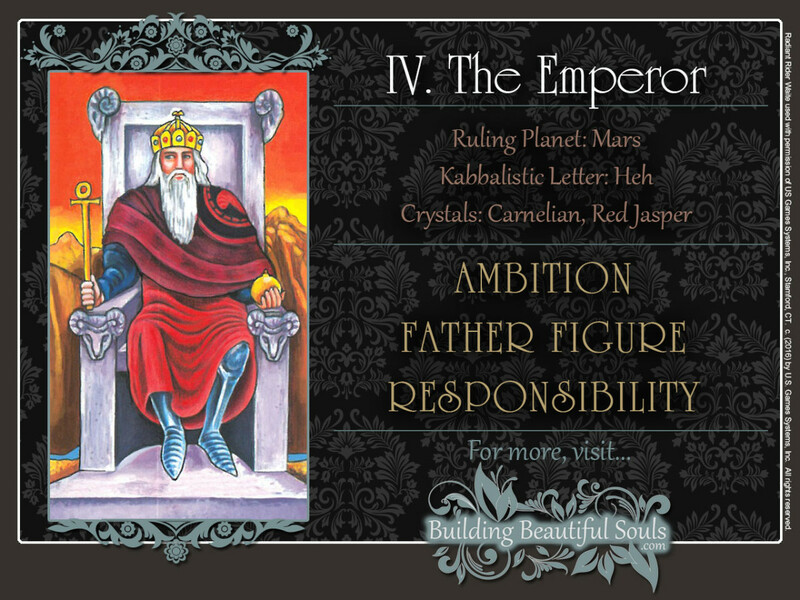 Don’t forget, the Emperor in the Tarot has not inherited, but earned his place. The Emperor card’s appearance in a tarot reading spells a major breakthrough in every aspect of your life. That dream you’ve been chasing? Congratulations, it’s yours. Even better, you’ve succeeded without selling out. You’ve proved the naysayers wrong, becoming a wiser person in the process, and people are taking notice. Others look up to you for leadership, advice, and help. Having completed an important life journey, a new set of challenges lies before you. One of these may well be battling boredom. Now that you’ve built your “empire,” you must manage it and keep it prosperous. This means that you must delegate tasks you’ve become used to doing yourself. A word to the wise: All work and no play makes Jack a dull boy. True, there are responsibilities and there is work to be done but some days, you have to play hooky and enjoy the sunshine outside. While your way of getting things done has worked for you, there is always room for innovation. If the Emperor tarot represents someone else, you have met that wise, experienced mentor you’d be willing to follow through hell and back. The problem is, that’s exactly where he’ll take you. If you have what it takes to stick it out for the ride, you’ll be just fine. Here’s the secret: You do. Otherwise, he wouldn’t have bothered with you in the first place. As a leader and mentor, the Emperor has a deep understanding of your capabilities and limits. He will help you develop your talents and prompt you explore – and push beyond – those limits. And in the process, he’ll do whatever it takes. The Emperor knows when you are truly struggling and when you’re just making excuses. And excuses are just as unacceptable to him as failure. His mentorship may be a rough ride but remember, you are the one who signed up for it. While the Emperor tarot may seem insensitive, he is not one to lead you astray or abandon you. He has complete faith in his cause and more importantly, the Emperor has complete faith in you. That supervisor who is constantly upping your sales goal is actually paving your way to becoming CEO, if you’re up to the challenge. 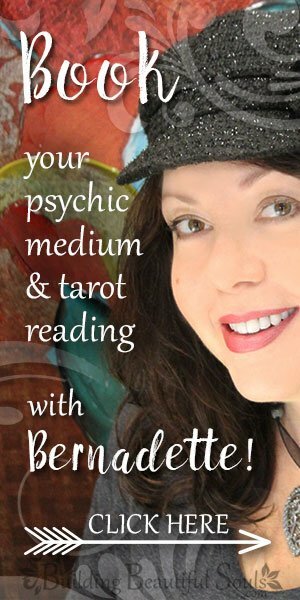 A reversed Emperor tarot card doesn’t mean bad news – not necessarily. Like all Major Arcana, The Emperor tarot represents the flow of energy between two fixed aspects of the universe. When upright, the Emperor flows from the solar consciousness to the divine consciousness, when reversed, it flows from the divine consciousness back to the solar consciousness. When The Emperor tarot is reversed, the universe reminds you that for every two steps forward, you sometimes need to a step back. Are you working yourself and those around you too hard? That grumbling from the ranks may not just be a bunch of excuses. When exactly was the last time you stopped to smell the roses? While you’ve become pretty good at delegating tasks, there are times when you have to do things yourself. King Arthur, for example, had become an expert at letting the Knights of the Round Table do the questing, but sitting around Camelot and playing golf for the rest of his life was not in his cards. When the chips were down and Mordred’s armies threatened the kingdom, he, too, had to pick up Excalibur, one more time. Life hasn’t changed much since then. When the Emperor card is reversed, the universe may also remind you of the many blessings it has given you and that the time has come to give back to the community. Many self-made millionaires, like Andrew Carnegie, became great philanthropists and created foundations promoting the arts and sciences. Others, like Larry Winget, known as the “pit bull of personal development,” share their wisdom gained from hard-won lessons. The universe has blessed you with many gifts. What can you give back? The Emperor card is the fourth Major Arcanum. Kabbalistically, it is associated with Jupiter, which is quite apropos for this card. In traditional Numerology, it corresponds to Uranus and his fierce independent streak and creativity. Here, they show that the Emperor’s power and position lift him to great heights, but also isolate the Emperor from the world. Read the sacred meanings of the solid and stable Number 4.